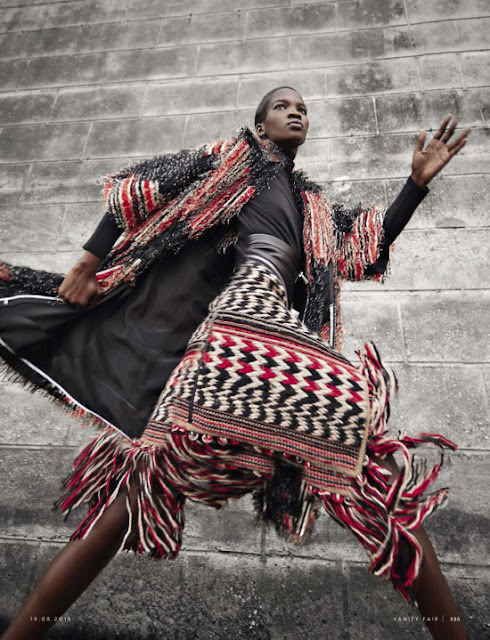 The winner of maiden edition Africa’s Next Top Model (ANTM), Aamito Stacie Lagum is currently living her dreams. After winning the modelling competition hosted by supermodel Oluchi Orlandi, she has strutted runways in South Africa, New York and Paris and has featured in numerous magazine editorials in the world. Her latest is a fab style spread in Vanity Fair Italia’s August 2015 issue. 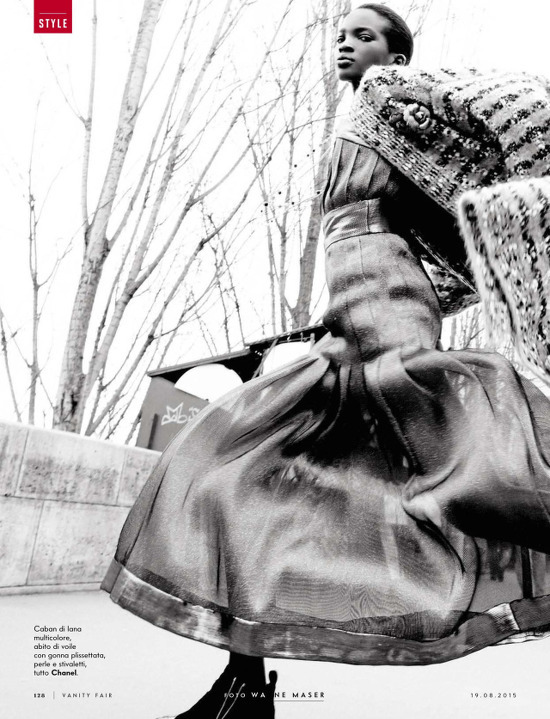 The editorial, shot by Wayne Maser, shows Aamito in motion, literally. She wears pieces by Lanvin, Adidas Originals, Givenchy, Chanel, Fendi, Jimmy Choo, Fausto Puglisi, DSquared2, Chloé and loads more.